My friends consider it a rare treat when I have little to say as most times I can ramble on forever on any given topic. Today, my ramblings will be short and sweet and even the dogs shall surely be happy hounds over that fact. 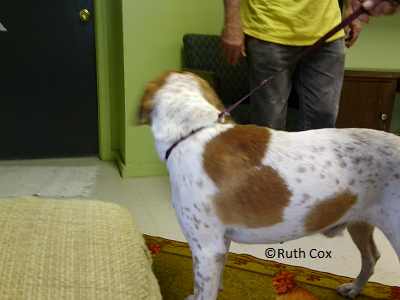 The topic at hand is the needs of pet rescue organizations. 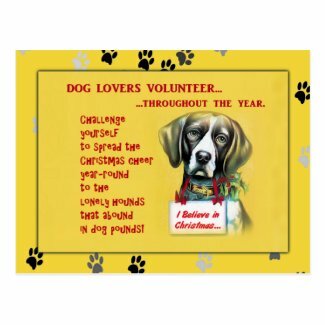 No doubt, whether you've ever been a volunteer with an animal shelter or not, you can imagine the needs of the animals and their caretakers. 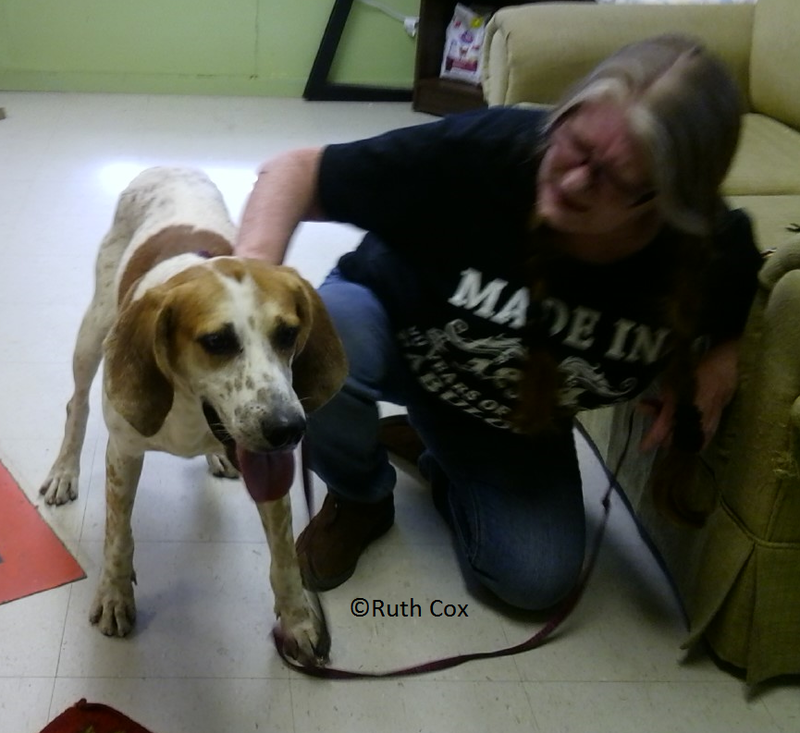 Note: You can also find Last Hope Rescue Florida on Facebook. 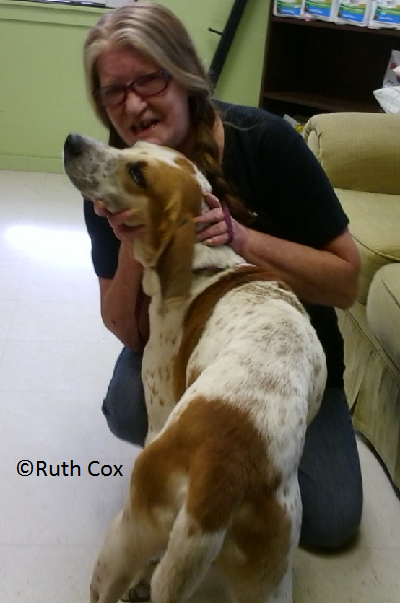 We dog lovers can make the hounds happy year around ... Volunteer! 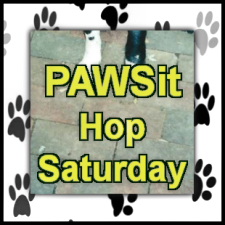 Share a dog story of your own in a blog post this week and link it up with the PAWSit Hop Saturday blog hop here at Dog Pawsitive Tidbits. Grab the PAWSit badge to add to your blog post and link it to this article for others to find and our paw prints shall surely grow. 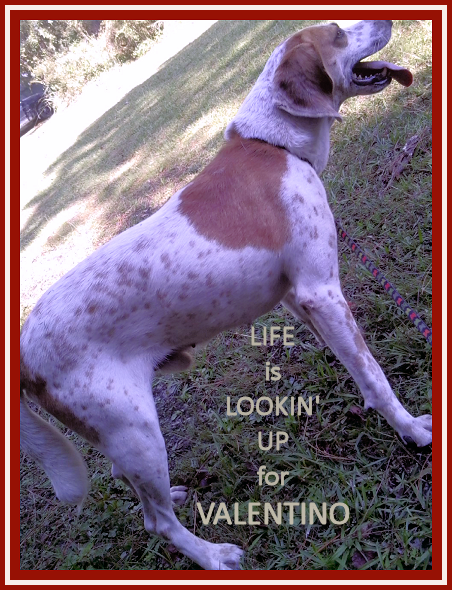 I promote all PAWSit links on Dog Pawsitive Tidbits on Facebook and PAWSit on Pinterest. It's a win/win networking situation for all of us dog lovers! 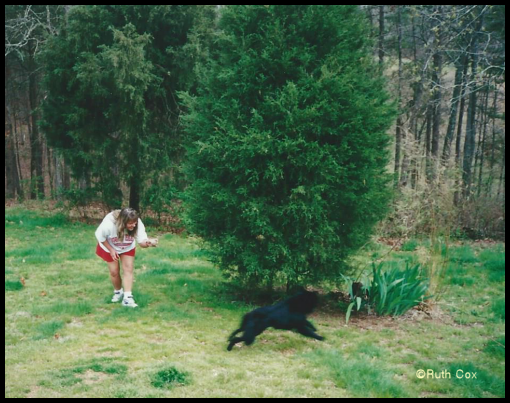 Back when my dog Tidbit was about a year old, we lived in Rome, Georgia, in the country. Our home was on a hill in a three-acre clearing amid about seventeen acres of Georgia pine trees. My old roommate, Chris, came from Kentucky to visit for a week. For Chris and Tidbit it was love at first sight. Tidbit could have cared less that Chris had traveled for hours to get to us and might need a bit of rest. Tidbit immediately cajoled Chris into a game of chase that lasted a good hour or more. Around and around the evergreen tree they chased one another. 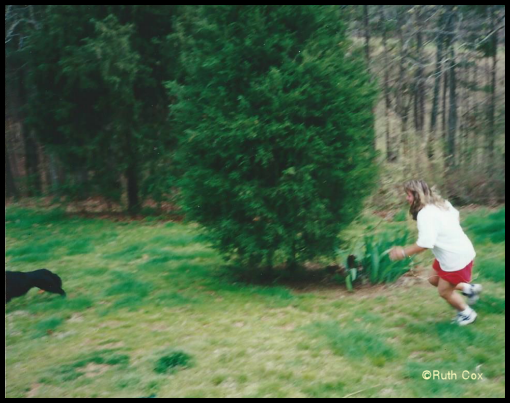 Often it was difficult to figure who was chasing who across the clearing. I was the lucky one. 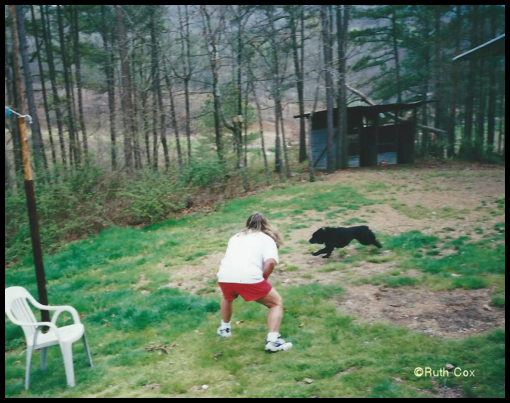 I was able to sit on the porch in a relaxed state watching Chris and Tidbit run and play, waiting for them to tire so Chris and I could begin a long awaited visit. It had been about five years since we'd seen one another. Chris and I enjoyed our week together, as old friends should, and Tidbit certainly enjoyed her new playmate. Of course, I made no secret of the fact that I was the one who felt like I was vacationing since I didn't have to keep up with that marvelous mutt's energy level while Chris was visiting. 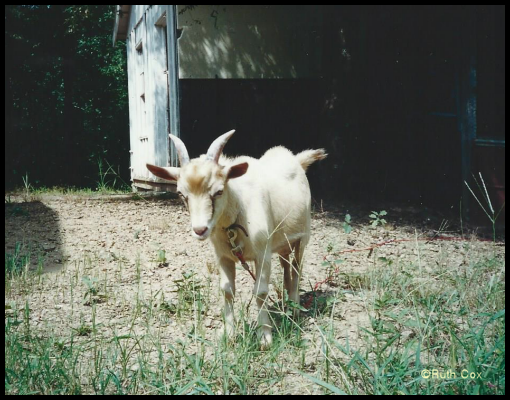 Naturally, Chris asked about the pen tucked into the shade of the trees, and we told her all about the goat we once had. Bucks was Tidbit's playmate for several months, running the yard together. Unfortunately, Bucks disappeared one day while I was at work, never found and never to return. 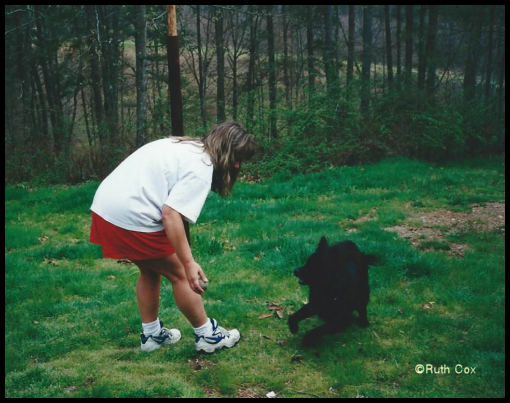 That was such a sad time for both me and my dog Tidbit. For weeks, Tidbit would lay at the goat pen for hours every day in mourning over the disappearance of Bucks, her friend and playmate. Many say that dogs do not have emotions like humans do. 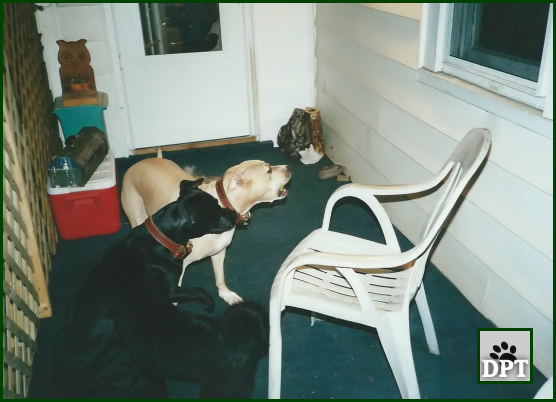 Their claim: dogs do not have an understanding of death nor grief, that they are merely concerned about the pack having changed. I disagree. 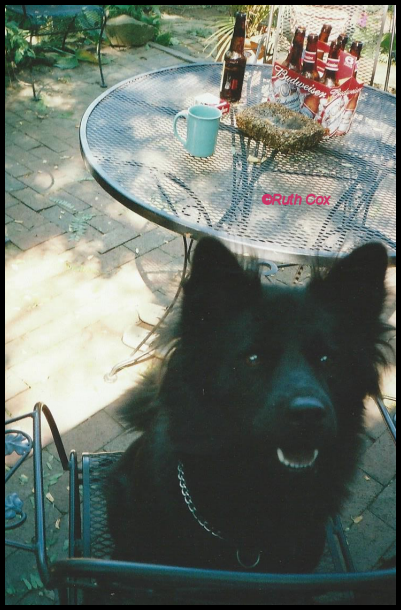 It is my experience that my dog Tidbit certainly mourned Bucks going away and never coming back. 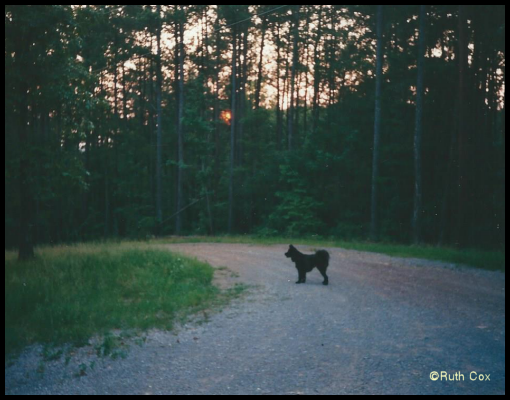 Do dogs mourn the loss of other pets and animals? 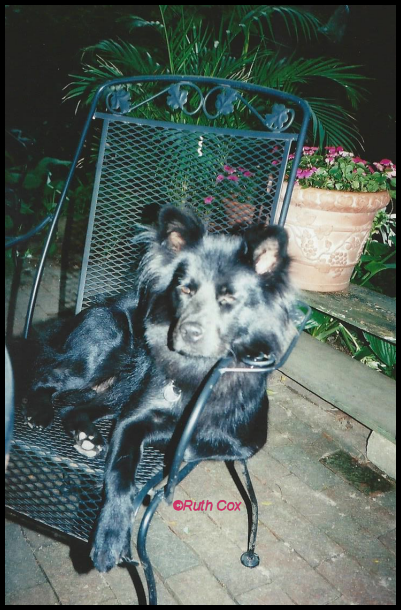 I invite you to share a dog story of your own this week and link it up with the PAWSit Hop Saturday blog hop here at Dog Pawsitive Tidbits. Grab the PAWSit badge to add to your blog post and link it to this article. That way others can find the meme too and our paw prints will surely grow. 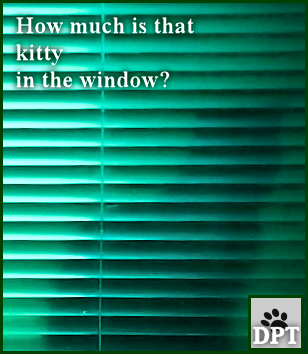 But of course, I will be promoting all PAWSit links on Dog Pawsitive Tidbits at Facebook and PAWSit on Pinterest. It's a win/win networking situation for all of us dog lovers! This determined little dog book arrived in my mailbox today! 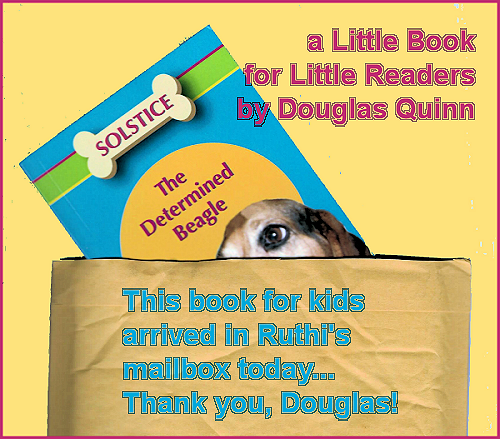 As a dog lover and one who is passionate about books for kids, it was a delightful surprise to receive Solstice The Determined Beagle: The Long Journey Home, signed by author Douglas Quinn, of course! Watch for my book review announcement! 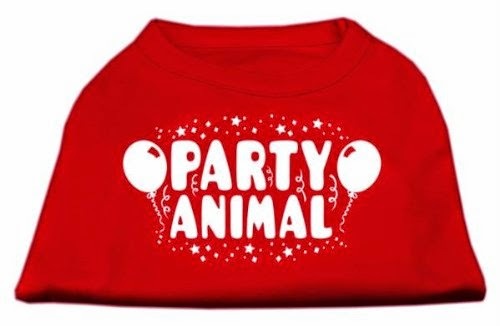 In the meantime, get a dog's eye view of Quinn's previous dog book for kids by reading my review of Gracie The Undercover Beagle. 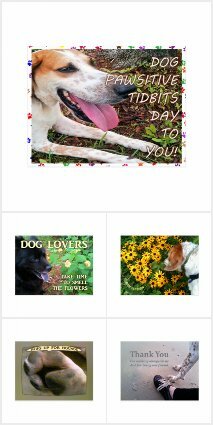 No doubt about it, you are sure to enjoy Quinn's dogs and other animals as much as I do. And little readers love his little books! 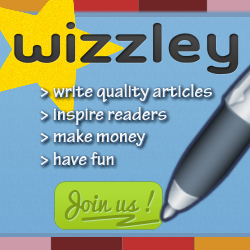 Disclosure: Ruth Cox is a writer on Wizzley and is a participant in the Amazon Services LLC Associates Program. Do you wonder what is the best pet therapy to treat your own separation anxiety when separated from your new puppy, or perhaps suffering the loss of a dog? The answer to that question—It's a wrap! 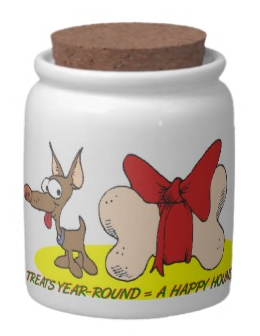 Dog throws make great gifts for dog lovers, sure to warm both body and spirit. This peaceful puppy pictured here is NewBe, my dog Tidbit's daughter. I've dedicated my throw blanket design to NewBe and my Aunt Helen, her other Mother. 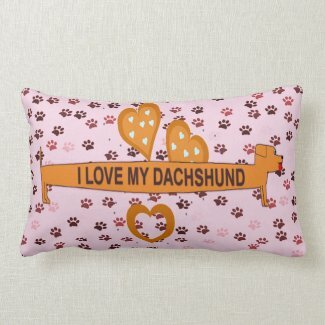 But of course, I had to toss in a lumbar throw pillow in a matching design! 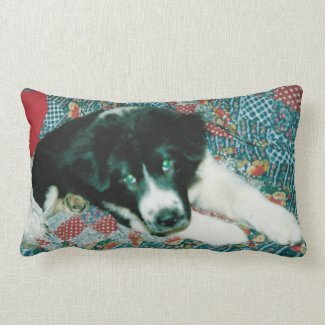 Pillow back has paw prints in black and white. 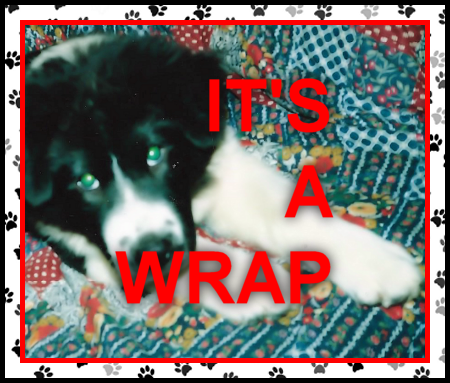 We wrap up this dog picture post by linking up with all the other pets and animals over at BlogPaws for Wordless Wednesday.